5 Financial Record Keeping 5 be. 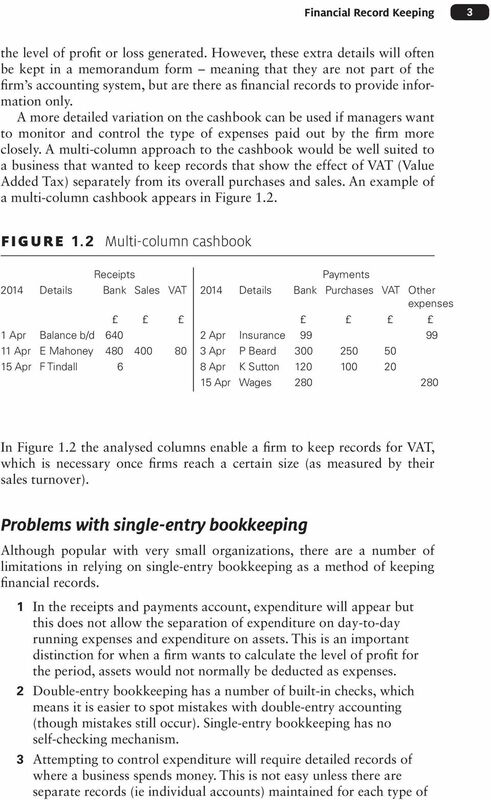 Many of the basic transactions would involve the rules for double-entry bookkeeping illustrated in Figure 1.4. 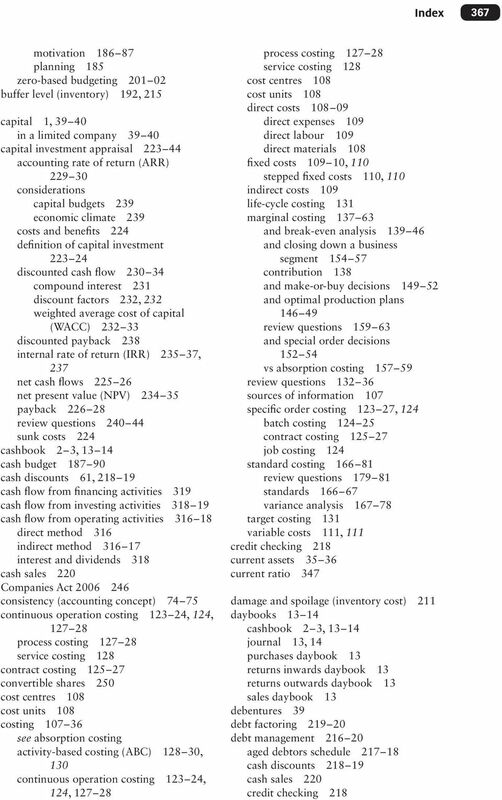 FIgurE 1.4 Rules used in double-entry bookkeeping All asset accounts All liability accounts All capital accounts Debit Credit Debit Credit Debit Credit Increases Decreases Decreases Increases Decreases Increases All expense accounts All income accounts Debit Credit Debit Credit Increases Decreases Decreases Increases These rules will make more sense if we see some examples of them in action. 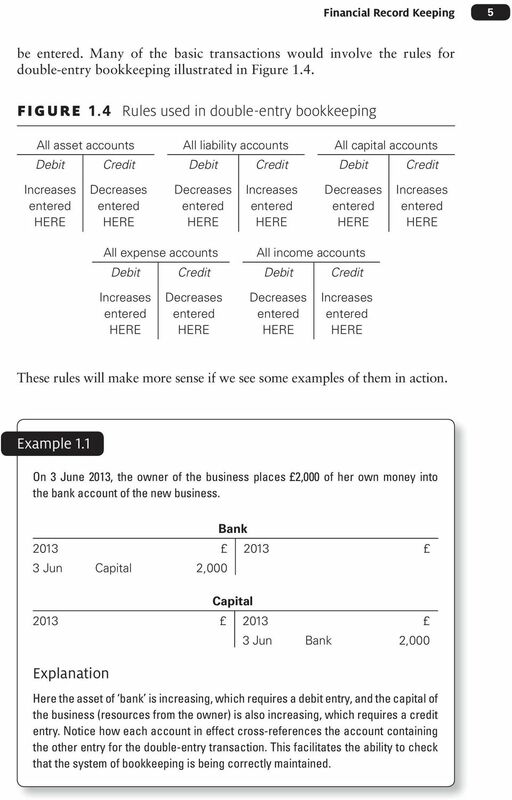 Example 1.1 On 3 June 2013, the owner of the business places 2,000 of her own money into the bank account of the new business. Bank Jun Capital 2,000 Capital Jun Bank 2,000 Explanation Here the asset of bank is increasing, which requires a debit entry, and the capital of the business (resources from the owner) is also increasing, which requires a credit entry. 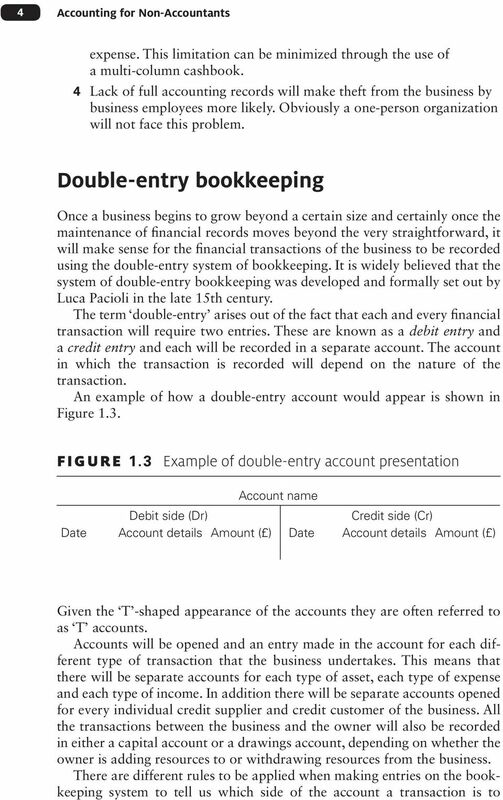 Notice how each account in effect cross-references the account containing the other entry for the double-entry transaction. 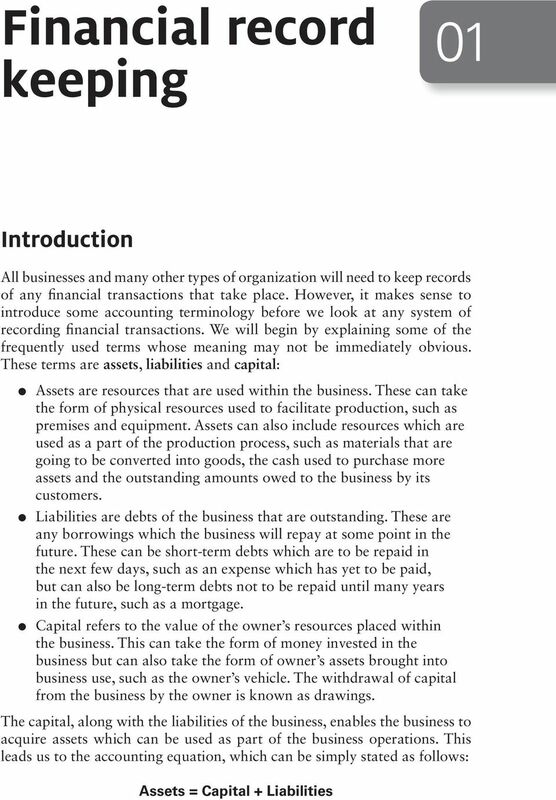 This facilitates the ability to check that the system of bookkeeping is being correctly maintained. 1 Run through the Flashcards as often as you can during your final revision period. The day before the exam, try to go through the Flashcards again. You will be well on your way to passing your exams. 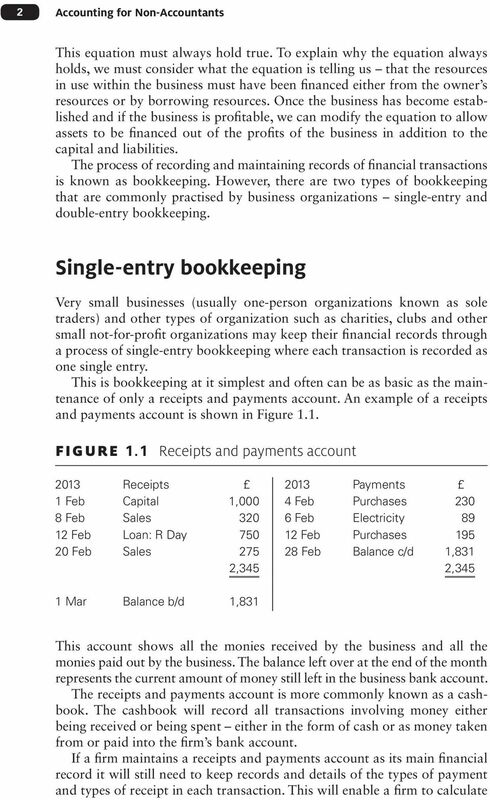 Why Do Farmers / Clubs / Firms / Anyone Prepare Accounts? 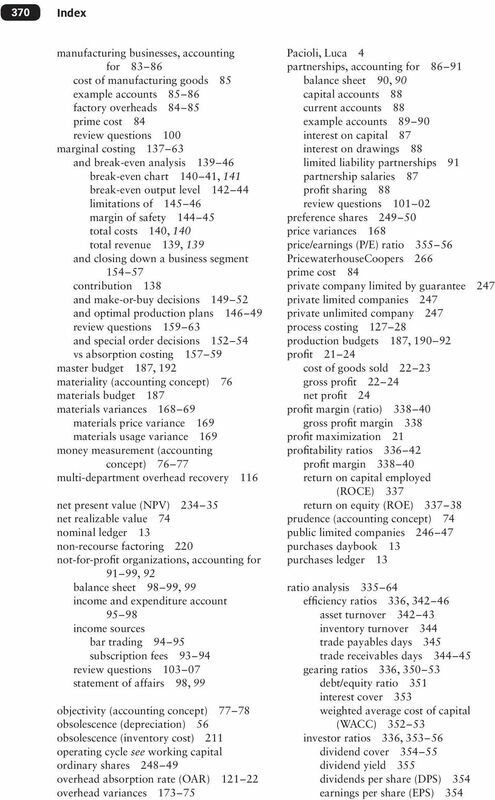 To calculate profit. 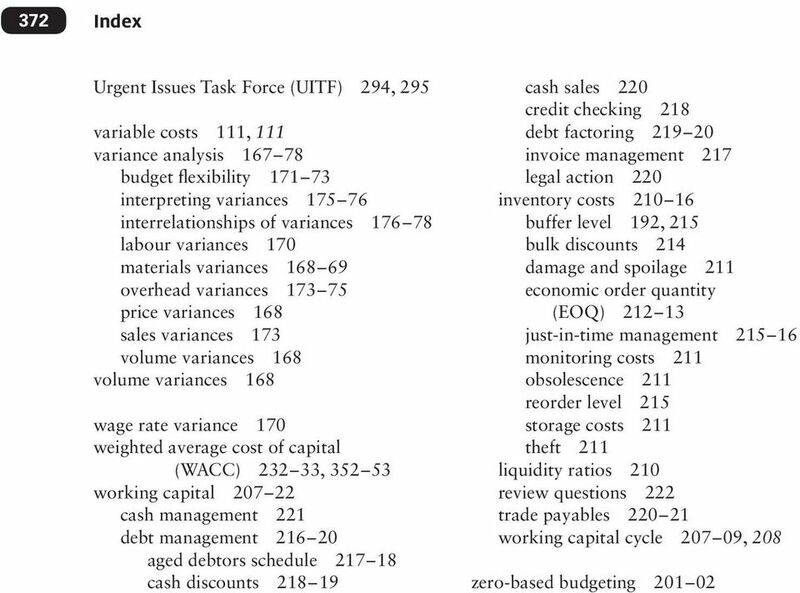 To assess the effectiveness of different parts of the organisation. 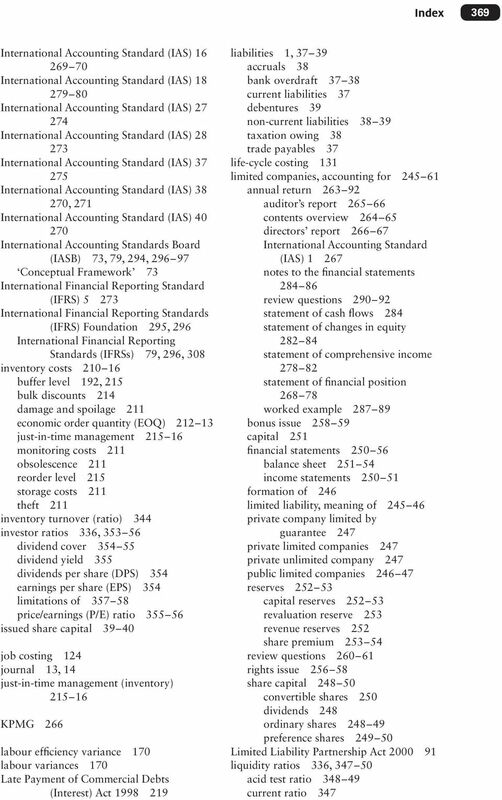 CERTIFIED PUBLIC ACCOUNTANT FOUNDATION LEVEL 1 EXAMINATION F1.3: FINANCIAL ACCOUNTING MONDAY: 10 JUNE 2013 INSTRUCTIONS: 1. Time Allowed: 3 hours 15 minutes (15 minutes reading and 3 hours writing). 2. (http://basiccollegeaccounting.com) Dedicated to helping Students & Teachers NOTE: 110 Questions & Answers on True Or False on Accounting Basics ACCOUNTING CONCEPTS & DOUBLE ENTRY SYSTEM True False 1.
Financing Your Dream: A Presentation at the Youth Business Linkage Forum (#EAWY2014) Akin Oyebode Head SME Banking, Stanbic IBTC Bank, Nigeria. 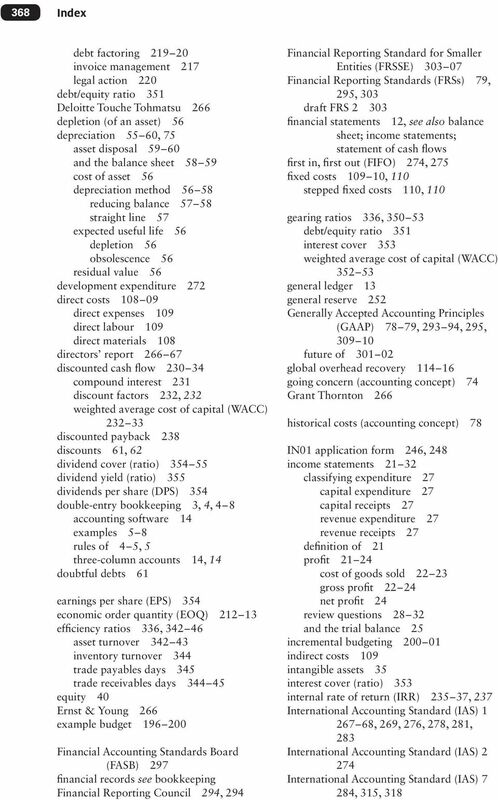 Ratio Analysis CBDC, NB. Presented by ACSBE. February, 2008. 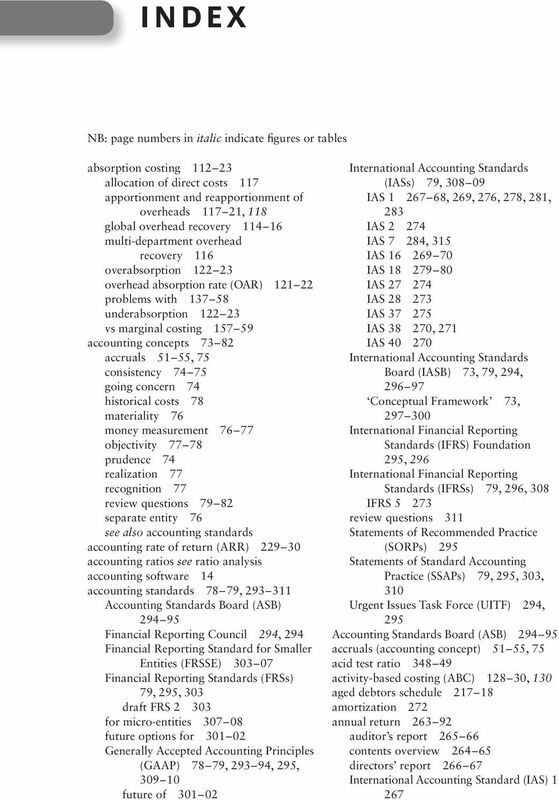 Copyright 2007 ACSBE. All Rights Reserved. Learning Objectives: Quick answer key: Question # Multiple Choice True/False. 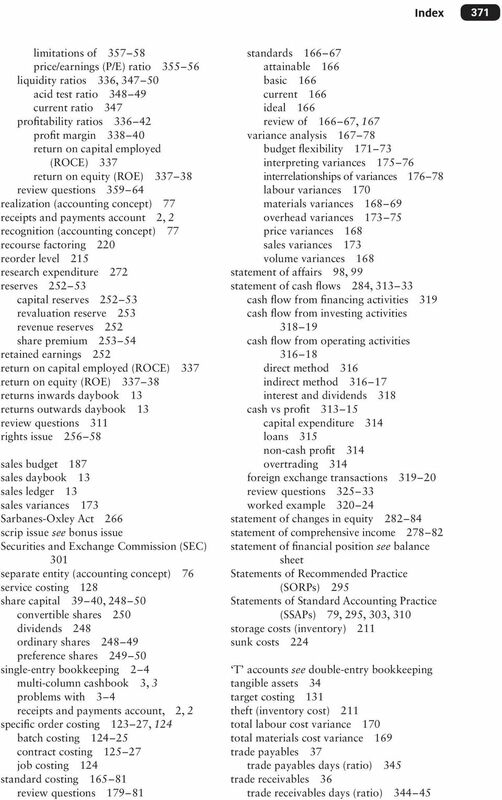 14.1 Describe the important of accounting and financial information. 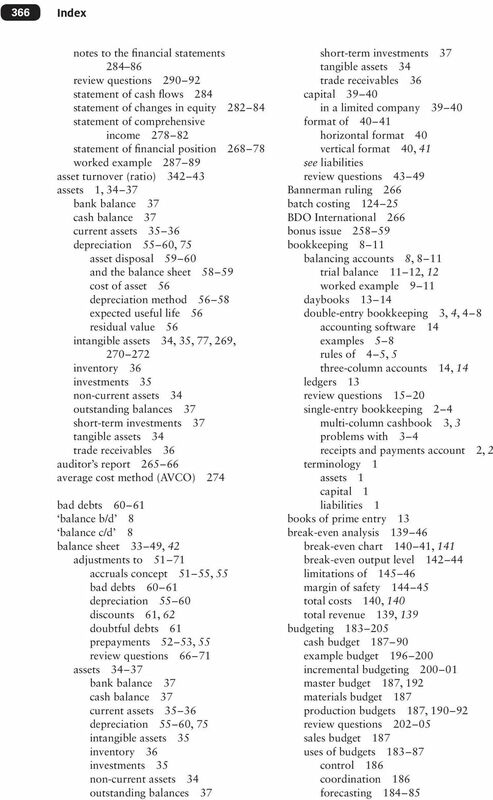 PRINCIPLES OF ACCOUNTING 1 Principles of Accounting Lecturer: Victoria V. Dobrynskaya, Nikita K. Pirogov Class teachers: Victoria V. Dobrynskaya, Victoria V. Poleschuk, Tatyana S. Shurchkova, Sergey N.